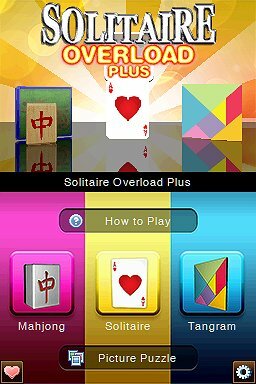 Telegames, Inc. has again teamed with Cosmigo, the developers of Solitaire Overload™, to create a second installment of the popular series...one that's on steroids! 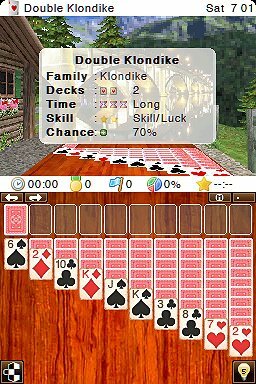 > 101 Mahjong layouts with 6 selectable tilesets in 2-D or fully zoomable and rotatable 3-D.
> 202 Solitaire games from your favorite families like Klondike, FreeCell, Spider, and many more. 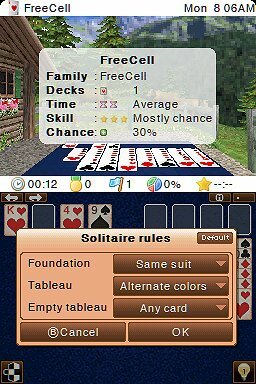 Each game has on-screen instructions and customizing options. 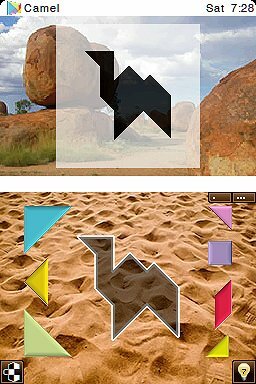 > 303 Tangram puzzles of people, animals, and objects. 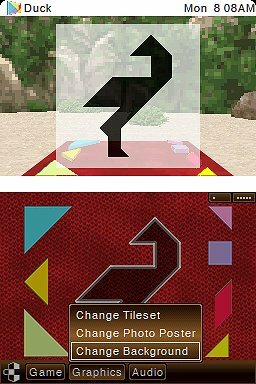 Select a tileset then drag, rotate, or flip the pieces to make them fit within the puzzle shape. 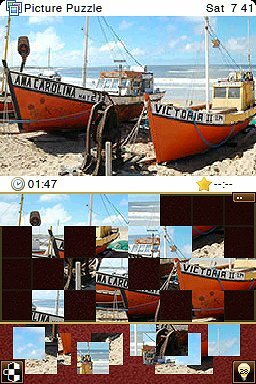 > 101 Picture Puzzles composed of photo-realistic content. Touch the HELP icon at any time to automatically move puzzle pieces when you get stuck. 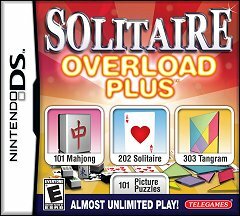 > All games designed with VUE™ TECHNOLOGY providing Virtually Unlimited Entertainment. 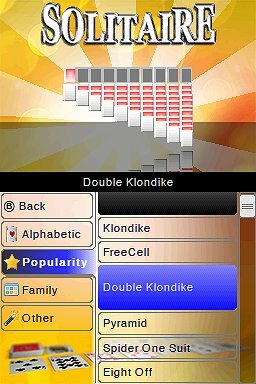 Internal random occurrence algorithms are blended with loads of game content to create a product that could, conceivably, provide a lifetime of fresh challenges and entertainment. > iPhone™- style menu manipulation and selection using your finger, stylus, or control pad. 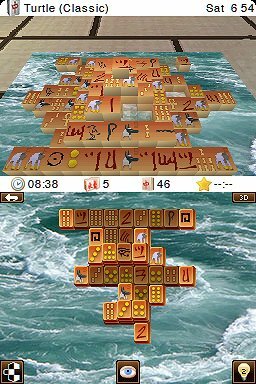 All games are played on the Touch Screen using your finger, stylus, or control pad. 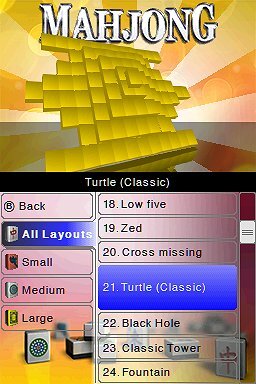 > Sort and select games based on different criteria for each game type. > Select your choice of background from 101 cool pictures and gradients. 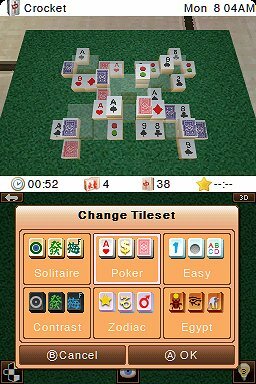 > Select your favorite card decks and tilesets to use. > Relaxing original sound tracks. Edit the playlist to hear only what you want to hear. > Automatically tracks your stats. > On-screen "How to play" instructions for different game types. > Save the game status, player statistics, and other options for later. 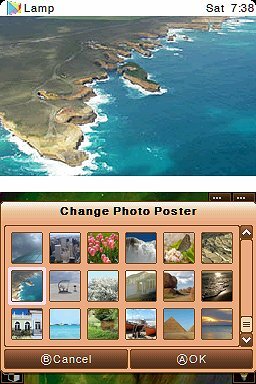 > PC-style menus allow easy and intuitive configuration and navigation. 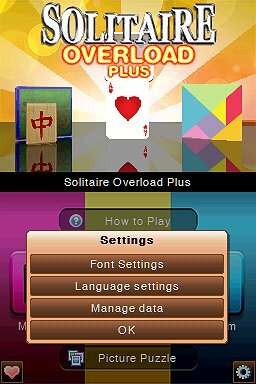 > Includes selectable English, French, or Spanish language for on-screen text, options, and instructions.